Video formats accepted by iMovie include MPEG-2 and AVCHD, DV-Standard and HDV (High Definition Video), QuickTime Movie, MEPG-4. In order to import YouTube video into iMovie, you need to download and convert YouTube video to iMovie compatible format first. It is very easy and fast to download YouTube video and convert YouTube video to iMovie using Clone2Go Video Converter for Mac. 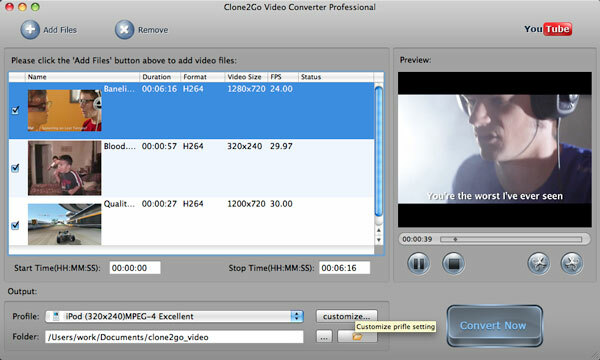 After the downloaded videos are imported into Clone2Go Video Converter Professional, go to the "Output" panel. Click the "Profile" drop-down list to choose "MPEG-4 Movie (*.mp4)" as the output format. 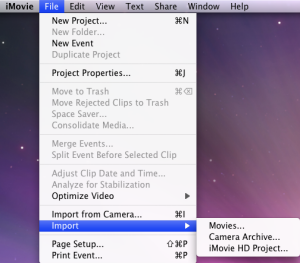 When all settings are done, click the "Convert Now" button to start convert YouTube to iMovie format.